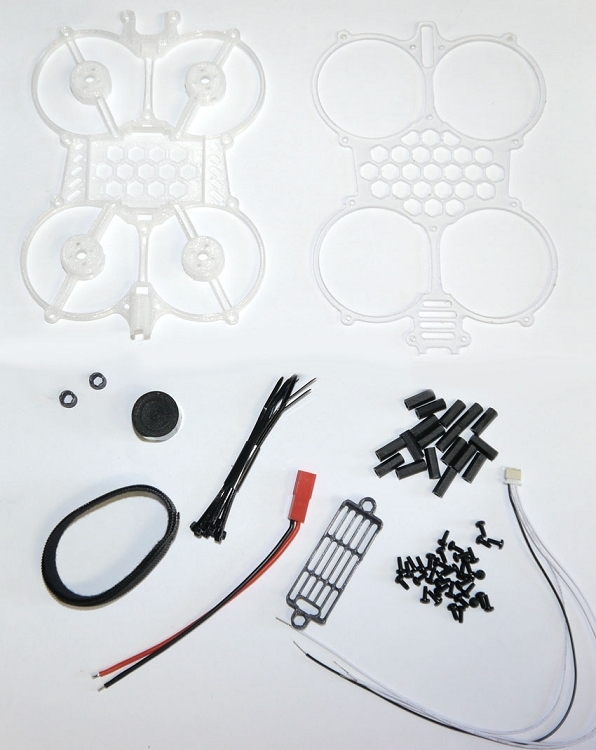 The RS90 is a 90mm brushless fpv quad designed to be the ultimate indoor/proximity flyer. 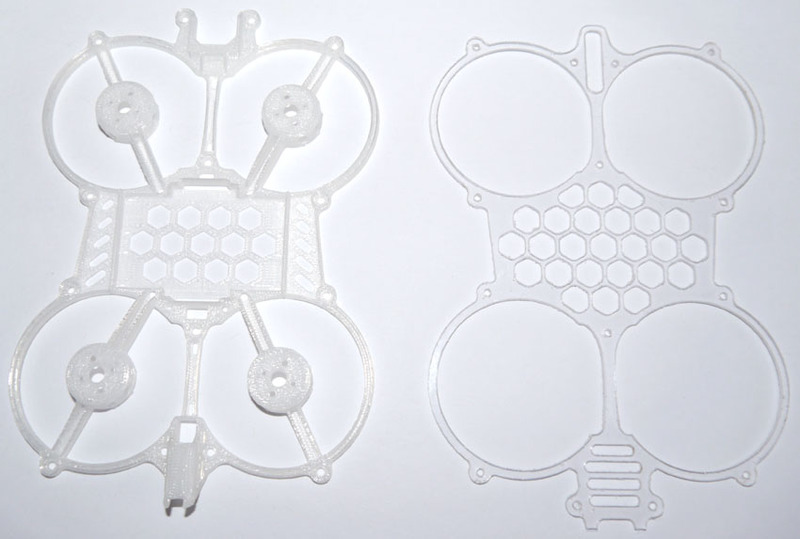 Full propeller protection and a tiny form factor (4” x 6” flying size) turn any location into an fpv playground without having to worry about leaving prop marks everywhere. 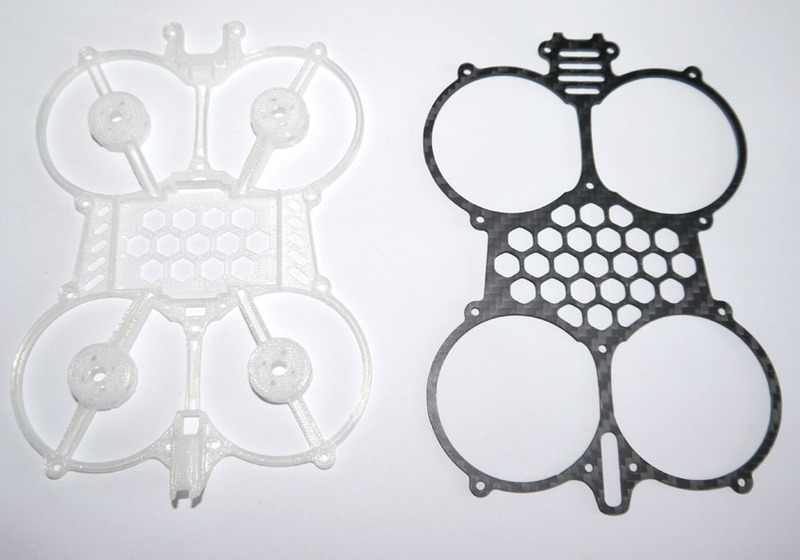 Despite a slightly heavier flying weight compared to the typical quadcopter in this size class, brushless power produces around 60g(@8.0V) thrust for a total thrust to weight ratio of 3.5! 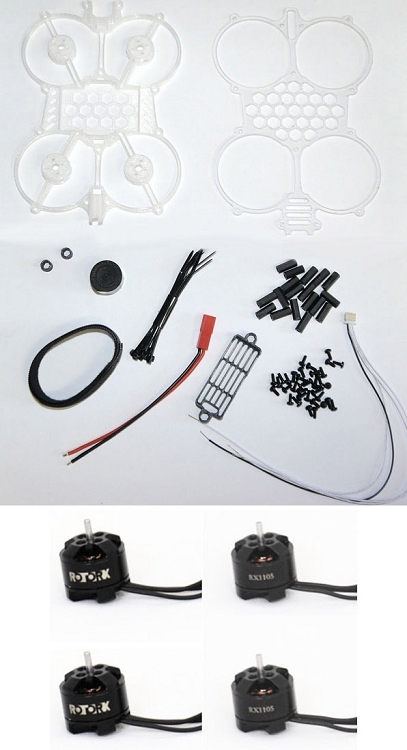 This new 1105 6500kv version is wound for a higher kv for a 2s or light 3s setup. 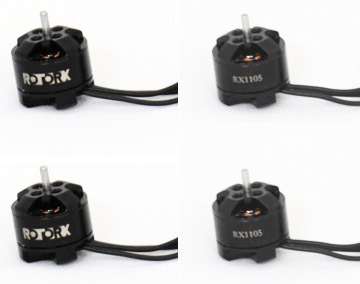 The tiny RX1105 "Gatling" motors are quite simply in a class of their own in regards to performance, size and durability. Now on to their 6th generation, these super efficient powerhouses are capable of generating massive amounts of thrust. 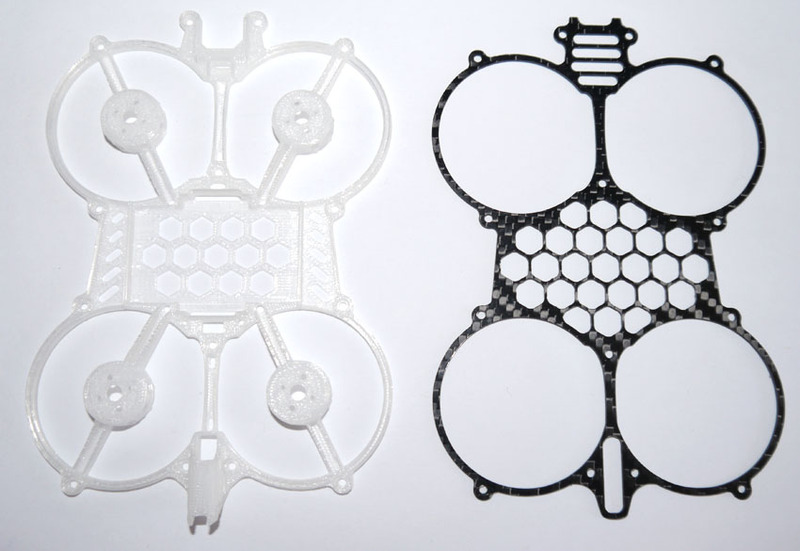 We worked with Alex Greves aka 'IBCrazy' to optimize this next generation of motors to give the maximum thrust with our RX3020 props and some new to be released props... There is no motor at this size that out performs these powerhouses! Our frame mounting configuration will be made available to purchasers, meaning you can design your own frames to take advantage of these little beasts. RotorX is a company who cares about the end user and dealers that support them. I have yet to work with ANY company that stands behind their product and puts the customer before profit like RotorX.